WITH the public anger over the release of former Union Carbide chief Warren Anderson mounting, the Congress finds itself driven into a corner. Its foremost aim is that the name of former Prime Minister Rajiv Gandhi does not get besmirched. To ensure that, there has to be a scapegoat, and at one stage it seemed that the onerous responsibility would fall on the then Madhya Pradesh Chief Minister Arjun Singh. THE farmers in Punjab face a major challenge in the transplantation of paddy this season with labour in acute short supply and mechanized transplanters, especially of Chinese make introduced last year, not having many takers due to unsatisfactory results. Japanese transplanters have shown encouraging results but these are far more expensive and therefore unaffordable for many despite the subsidy that the state government extends. Despite the protracted anti-Taliban drive by the US-led multinational forces in Afghanistan, the extremists continue to remain a potent threat to peace and progress there. The latest proof of this ugly reality is that new British Prime Minister David Cameron was forced to abandon his visit to a military base because of an intelligence report that his helicopter could be shot down by the Taliban. THE UN Security Council has imposed the fourth round of sanctions on Iran with 12 members voting for it and two against it with one (Lebanon) abstention. Turkey and Brazil, whose leaders attempted to mediate on the issue and whose mediation efforts were widely applauded, voted against the fresh sanctions. MY father built his house 80 years ago on a 3,000 sq. ft plot of land. He owned the house but not the land which was held on what was called a “Lease In Perpetuity” which meant that there was no time limit and the owner of the house could sell it anytime. The token ground rent was Rs 1/56 per annum paid to the Defence Estates Officer, Delhi Cantt. When I sold the house in 1988, the rent had not changed. THE Guardian and Wards Act, 1890 (GWA), the 116-year-old Indian legislation plays spoilsport. A whopping 12 million orphan children in India need parents but the law does not allow Muslims, Christians, Jews and Parsis to become their adoptive parents. They can be appointed as guardians only. THE increasing attacks by the Naxalites on all symbols of the State come as no surprise. The audacious attacks are now even targeting ordinary civilians and show the diabolical agenda of the Maoists. What is surprising, however, is the support they continue to have from a section of the intelligentsia. THE latest terrorist attack on Ahmedis, a religious minority, in Lahore has led to a raging debate. How strong are the Taliban in South Punjab? Who are its members? Is there need for launching a FATA-style military operation to uproot them? Or are the killings of Ahmedis the handiwork of the Tehrik-e-Taliban Pakistan (TTP) having its headquarters in the Federally Administered Tribal Areas (FATA)? WITH the public anger over the release of former Union Carbide chief Warren Anderson mounting, the Congress finds itself driven into a corner. Its foremost aim is that the name of former Prime Minister Rajiv Gandhi does not get besmirched. To ensure that, there has to be a scapegoat, and at one stage it seemed that the onerous responsibility would fall on the then Madhya Pradesh Chief Minister Arjun Singh. But the gameplan is not unfolding quite as well as some of the crisis managers of the party would have wanted. One, there is a considerably large section within the party which is not happy with the turn of events, because everyone knows that there was no way that Mr Arjun Singh could have taken the decision on his own without a signal from the top. Two, there is always the distinct possibility that pressed too hard, the wily Thakur might hit back and reveal details which may be embarrassing, to say the least. He seems to have some support within the party at least on this issue. Even otherwise, details are tumbling out which hint that Rajiv Gandhi might have had a role in the release of Anderson after the Bhopal gas tragedy 26 years ago. No less a person than Mr P. C. Alexander, former Principal Secretary to Rajiv Gandhi, has insinuated that. At the same time, a television channel has quoted declassified CIA documents stating that Anderson was released on the Central government’s orders to Madhya Pradesh. In the light of such developments, Congress’ assertion that the late Rajiv Gandhi had nothing to do with the episode is becoming untenable. In the firefighting mode, the Congress has tried to pull the chestnuts out by saying that the government, and not the party, will have to clarify. And to blunt the Opposition knife, it has taken the fight into the BJP arena by asking why the NDA government did not make any attempt to extradite Anderson when it was in power. Two wrongs do not make one right, but in political sparring, at least make a functional weapon of defence. There is also the hope that public memory being what it is, the controversy might slowly go back to the backburner. THE farmers in Punjab face a major challenge in the transplantation of paddy this season with labour in acute short supply and mechanized transplanters, especially of Chinese make introduced last year, not having many takers due to unsatisfactory results. Japanese transplanters have shown encouraging results but these are far more expensive and therefore unaffordable for many despite the subsidy that the state government extends. The State was largely dependent on migrant labour from U.P., Bihar and Jharkhand in the past but with the National Rural Employment Guarantee Act helping many labourers find work closer to their villages, the option of moving to Punjab for the paddy transplantation season has ceased to be attractive. The policy of the two State governments to shorten the transplantation season so that it overlaps with a part of the monsoon has made the deal even more unattractive for the migrant labour. The considerably-reduced numbers that are now coming are demanding and managing to extract a much heavier price which is virtually double of what they were being paid last paddy sowing season. Clearly, there is cause for the State’s youth to turn towards farming in a much bigger way. It is a cold reality that for many years now a large proportion of youth who have their roots in the villages are ready to sit idle or even take up small jobs in towns rather than working in the fields. They find working on farms beneath their dignity. There is a strong need to motivate these youth to return to the farms through concerted governmental campaigns to educate them and to wipe off their prejudices against farming. At the same time, mechanisation on a large scale can be a big boon if the transplanters are of the right quality. The shortage of labour is indeed here to stay. It is therefore imperative that the dependence on migrant labour be minimised. The Punjab government’s decision to provide paddy transplanters to paddy farmers this kharif season and to subsidize them is a step in the right direction. Despite the protracted anti-Taliban drive by the US-led multinational forces in Afghanistan, the extremists continue to remain a potent threat to peace and progress there. The latest proof of this ugly reality is that new British Prime Minister David Cameron was forced to abandon his visit to a military base because of an intelligence report that his helicopter could be shot down by the Taliban. The way the extremists have been behaving for some time indicates that their maximum stress is on retaining their following among the masses. Nowadays they refuse to claim responsibility for any incident of violence once they realise that the casualties include largely civilians. This tactic can be seen in the denial of their involvement in a wedding party attack last week, resulting in the death of over 40 persons. They have also been exploiting the government’s failure to revive normal economic activity in most parts of Afghanistan in spite of its having received billions of dollars in aid from different countries. There must be some reason why President Hamid Karzai has been seriously working on a strategy to hold peace negotiations with the Taliban. He is believed to have lost all hope in the ability of the multinational forces to normalise the situation in Afghanistan, as claimed by a former head of the country’s intelligence services, who resigned recently. Mr Karzai also organised a jirga (an assembly of tribal elders) a few days back to gauge the mood of the people about launching a reconciliation process. The tribal elders sympathising with the Taliban refused to attend the jirga, describing it as a “phony process”, yet Mr Karzai has been sending feelers to Taliban factions that their fighters can be accommodated in different government departments provided the Taliban masterminds agree to accept an asylum offer. The idea on which Mr Karzai appears to be working today is different from the one which divided the extremists into the “good” Taliban and the “bad” Taliban. The US and its allies are allowing him to have his way because they seem to be frantically looking for a solution to the Afghan crisis before July 2011, when the US troop withdrawal is scheduled to begin. All this, however, amounts to groping in the dark. But be not afraid of greatness: some men are born great, some achieve greatness, and some have greatness thrust upon them. THE UN Security Council has imposed the fourth round of sanctions on Iran with 12 members voting for it and two against it with one (Lebanon) abstention. Turkey and Brazil, whose leaders attempted to mediate on the issue and whose mediation efforts were widely applauded, voted against the fresh sanctions. The 12 who voted in favour included all five permanent members of the Security Council and seven non-permanent ones, including Bosnia-Herzegovina and Nigeria, which has only 50 per cent Muslim population, though both are members of the Organisation of Islamic Conference. In other words, the Iranian nuclear issue is not viewed as an Islamic one, as some people in India portray it. The Security Council sanctions are the direct result of Iran’s refusal to cooperate with the IAEA, the UN watchdog on the peaceful nature of the nuclear activities, by a member-nation of the NPT. Why should Iran take the risk of such sanctions if it wants to be a member of the NPT? Its reactor at Bushehr initiated by the Germans during the period of the Shah and completed last year by the Russians has guaranteed enriched uranium fuel supply from Russia. Accounts from defectors, clandestine attempts to procure uranium enrichment technology from Pakistan, procurement and construction of clandestine centrifuge plants, its non-cooperation with the IAEA, its dealings with North Korea and its development of long-range missiles all raise reasonable suspicions that Iran is attempting to acquire clandestine nuclear weapon capability. At the same time, Ayatollah Ali Khamenei, Iran’s supreme leader, has issued a fatwa saying that production, stockpiling and use of nuclear weapons are forbidden under Islam. The fatwa was cited in an official statement by the Iranian government at an August 2005 meeting of the IAEA in Vienna and, more recently, at theTeheran conference on nuclear disarmament in April this year. Most of the western analyses of Iran’s nuclear efforts relate them to its ambitions to be a regional power, its hatred of Israel and its anti-Western orientation. Most of the Western analyses ignore that Iran is the only country which was subjected to an attack by a weapon of mass destruction (a chemical weapon) in the 1980’s by a Sunni Muslim country, Iraq. The Sunni Arab countries financially and otherwise supported Saddam Hussein. Iran is estimated to have suffered 500,000 casualties. That war followed the Iranian Revolution and was undertaken simultaneously with the vast Wahabisation effort of the Afghan mujahideen. Al-Qaeda and the associated extremist groups which owe their origins to the Afghan war period conditioning have been targeting Shias in Pakistan and Iraq. There are demands from Sunni extremists that Shias should be declared apostates and non-Muslim. In the eighties, as the Pakistanis, with financial support from Saudi Arabia and direct nuclear proliferation support from China and tacit permissiveness of the US, acquired their nuclear weapons, simultaneously Saudi Arabia obtained its long-range missiles from China.Those missiles make no sense unless they have nuclear warheads and the only nuclear warheads to which Saudi Arabia can have access are the Pakistani ones which they lavishly financed. Now comes the news from a number of Western sources that Pakistan has already exceeded India’s nuclear stockpile and is planning to multiply its arsenal manifold, thanks to the plutonium production reactors provided by China. As usual, Western analysts are fixated only on the India-Pakistan equation. In its latest annual world military expenditure report, released on June 2, the Stockholm International Peace Research Institute (SIPRI) said Pakistan’s weapons-grade plutonium production would jump seven-fold with the two new reactors at Khushab nearing completion. “Our conservative estimates are that Pakistan has 60 warheads and could produce 100 nuclear weapons at short notice,” said SIPRI. Many Western observers overlook the possibility that the additional warheads could arm Saudi missiles, and Shia Iran may face a two-front Sunni nuclear threat. The Pakistanis think that they will be back in Afghanistan irrespective of what President Obama may say. The Iranians are well aware of the consequences of firing nuclear warheads on the West or on Israel. They, in fact, need the nuclear weapon capability against the Sunni nuclear threat. A nuclear Iran will give a further morale boost to the Shias in the Sunni-majority countries as the Iranian Revolution and the emergence of Shia-majority Iraq and Azerbaijan have already done. How do the Iranians hope to achieve this objective against the tremendous odds they face, including the present sanctions? They appear to depend on the Shia strategy of taqiya. Within the Shia theological framework, the concept of taqiya refers to a dispensation allowing believers to conceal their faith when they face a threat, persecution and compulsion. A top-ranking Shia religious scholar, Ayatollah Sistani, has explained that taqiya is done for safety reasons. For example, a person fears that he might be killed or harmed if he does not observe taqiya. In such case, it is obligatory to observe taqiya. History would appear to indicate that taqiya is especially allowed in the case of dealings with non-believers. Iran is presumably resorting to taqiya, both in respect of Sunni Pakistan and the non-believer West. After all, it was the US which eliminated Saddam Hussein, routed the Taliban out of Afghanistan and is fighting the Wahabi terrorist groups, all contributing to Shia Iranian interests. It is not in the US interest to allow a two-front nuclear threat to Iran either. There were four such properties in the locality with tumbledown cantonment bungalows all belonging to an Englishman called Roberts, a widower who had lost his only son in a swimming accident. He was getting rid of his property, at throwaway prices before going home. Roberts was an extraordinary Englishman. Except during the monsoon, he slept on the roof of his house throughout the year. His hobby was catching snakes, of which there were plenty on the Ridge. He once bagged a pair of white cobras which he presented to the London Zoo. In 1830 the British garrison shifted from Daryagunj, which was considered too malarious, to the wide and open spaces beyond the northern Ridge where, many years later, was built the Viceregal Lodge. The roads bore military names — Cavalry Lines, Probyn Road, Battery Lane, Lawrence Road, Racquet Court Road and Arsenal Road. The names were changed after Independence but old-timers like myself still use the original names. Atop the Ridge the Flagstaff Tower, a rotunda gave shelter to British women and children during the sepoy mutiny of 1857. The road from it to the mosque built in the 14th century by Feroze Shah Tughlak is closed to vehicular traffic to make a peaceful venue for early morning and evening strollers, with only monkeys and peacocks for company. By the time my father had finished building his house, the university had moved into Viceregal Lodge. N.K. Sen, popularly known as “Nishi Babu”, occupied a small corner of it to live. Before becoming the Registrar he had taught philosophy at St. Stephen’s College. My father’s subject was English but both his younger brothers had been Nishi Babu’s students. Registrars those days seemed to have sufficient time for an evening stroll which the cigar-smoking Nishi Babu indulged in on the campus accompanied by my father and followed by myself and my dog. As for the house, what it lacked in modernity it more than made up in spaciousness. Each of its three bathrooms could easily contain a living room in one of the sophisticated flats in New Delhi and, of course, there were the lawns, front and back. Peace, perfect peace, occasionally broken at night by a laughing hyena who had made himself comfortable on our front lawn. The Hindu Adoption and Maintenance Act, 1956 (HAMA) does not allow non-Hindus to adopt a Hindu child. Consequently, non-Hindus and foreign nationals can at most become guardians under the GWA but cannot adopt children from India. The Central Adoption Resource Authority (CARA) is the nodal Central body in New Delhi. To facilitate implementation of the norms, principles and procedures relating to adoption of children from India to foreign countries, the Supreme Court in three successive decisions in 1984, 1986 and 1992 in L.K. Pandey vs Union of India had directed the Government of India to issue guidelines for the above purposes. Accordingly, CARA from time to time has issued guidelines for adoption of children from India to foreign jurisdictions besides in-country adoptions. The new guidelines by CARA for full and final “adoption” of children in India before they are sent abroad with prospective parents and that these will mandate “final adoption of Indian children” under HAMA and the Juvenile Justice (Care and Protection of Children) Act, 2000 (JJ Act) seem attractive but illusory. This is because unless non-Hindu parents are statutorily permitted to “adopt” and not be merely guardians, any guidelines cannot overreach statutory law. Till such time adoption is permitted only to Hindus, any foreigner who is a non-Hindu cannot adopt a child in India simply because no law permits so. In such event, the exercise of CARA to frame guidelines to allow foreign couples to adopt children in India may be flawed and defective. Any guidelines can supplement the law but not supplant it. Consequently, CARA cannot enact a law of its own. HAMA permits adoption to a male or a female Hindu through a process of adoption enacted by Indian Parliament to codify the law relating to adoptions among Hindus. Even the JJ Act, permits adoption of orphaned, abandoned, neglected and abused children through institutional and non-institutional methods. But there is no statutory law which permits non-Hindus who are foreign nationals or professing other religions to adopt children in India. For them, the limited recourse is to the GWA to become guardians which enables them to use the guardianship order obtained in India under the GWA to ultimately gain adoption in foreign jurisdictions. In this event, Indian statutory law does not permit adoption to foreign nationals and persons professing other religions to adopt in India. HAMA gives a conclusive status to an adoption deed recording an adoption in compliance with its provisions. However, all foreign embassies or the High Commission in India still insist that the adoption deed is not enough. Rules of foreign jurisdiction stipulate that the adoptive parents have to thereafter obtain guardianship orders from a Guardian Judge under the Hindu Minority and Guardianship Act, 1956 (HMGA) for Hindus and a similar order under the GWA for non-Hindus. Genuine transfer of parental responsibility by an irrevocable adoption deed is rendered redundant. This results in a paradox in law. A valid adoption deed under HAMA is not acceptable to foreign jurisdictions for immigration purposes unless it is supported by a guardianship order under the GWA or HMGA. Strange but true, that is how the law is read by foreign embassies and High Commissions in India. Against this backdrop, what should CARA do? It should resolve the conflicts and not compound them. CARA could well send a recommendation that before it enacts any guidelines, they should confirm to statutory law. Any guidelines which differ from the codified law will only add but not subtract to the current muddle of inter-country adoptions law. The mechanics of inter-country adoptions, stringent adoption procedures, insurmountable technicalities, high refusal rates of visas for children in adoption matters and inordinate delay in Indian court procedures have been a deterrent to adopt a child from India. What do we need? Where is the change desired? A general law for adoption in India enabling any person, irrespective of his religion, race or caste to adopt a child from India will help. 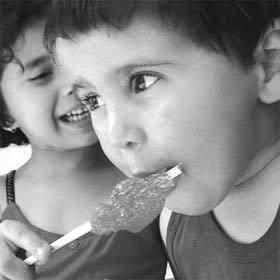 Further, keeping in view the Supreme Court’s guidelines in adoption by foreign nationals to prevent trafficking of children and to protect their welfare, a uniform streamlined statutory procedure acceptable to foreign jurisdictions would also sere the purpose better to mitigate the plight of the adoptive child. There is an insinuation in the statement, that the media which interestingly has been responsible for the very proliferation of this tribe of anti-establishment nay sayers, is not correctly reporting the ground realities. Recorded coverage of the carnage and the most heart rending scenes captured on camera are obviously not enough to nail the dastardly acts of the Maoists for these so-called human rights activists. There seems to be a doubt cast as to whether the massacre has been an act orchestrated by the Maoists at all. There seems to be a suggestion that the government itself may have organised the attacks. It is further stated in the statement that “Some accounts suggest that apart from SPOs (special police officers) and police, the other passengers in the bus were mainly those who had applied to be recruited as SPOs. We will have to wait for more information”. In other words, is it implied that the passengers who had applied to be recruited as SPOs become combatants and therefore by that token the act of massacre is condonable. Further, Roy goes on to say, “if there were civilians in the bus it is irresponsible of the government to expose them to harm in a war zone by allowing police and SPOs to use public transport.” Does it imply that the soldiers and brave jawans are any less innocent than the non-combatant “innocents”? Or is it that their lives are expendable and are in fact their massacre justified as an act against the so-called oppressive state? It is of no relevance to Roy that the soldiers are fighting a lonely war against a group who question the very legitimacy of the state. It is a sad commentary on the flawed thought process of the self-proclaimed people’s spokespersons that they question the rationale of making them travel by public transport. Is she suggesting using combat armoured vehicles to ferry government servants and other citizens within a state? If so, Roy obviously realises the situation inside these pockets is indeed grim and calls for immediate state action. If there is still support for the lawless militia, it can be deemed nothing short of sedition. Roy’s statement seems to betray a perverse logic wherein there is a differentiation made out in the lives of those who get killed. The professional soldiers who are fighting amongst the toughest of odds against the guerilla militia are strangely seen as a collateral damage that is but an outcome of a war that is said to have been foisted upon the “people” by the government. In that sense, there seems to be strange justification in the acts of mass murder. The strange and contorted rationale is further at display in the play of words that is resorted to by Roy. The allusion of Maoists being “Gandhians with a Gun” is an affront not only to the Father of the Nation but also the sensibilities of all those who genuinely empathise with the plight of the poor since it pushes them into the ranks of anti-nationals whose sole agenda is to usurp the power of the state. Worse, despite incontrovertible proof against the Maoists, there are caveats and provisos attached in the condemnation of blatant acts of murder. This is a common diction of most so-called human rights activists. Whose war are the Maoists fighting? What is that they wish to achieve? Do they have any constructive agenda? Is there any evidence of the Maoists institutionalising a school or hospital for those who they seem to represent? None of the above questions are ever sought to be posed by the human rights proponents. Nor have any of them ever questioned the killings of the legitimate soldiers of the state. No wonder, they are often deemed as Maoists’ sympathisers. The root of the homegrown violence is service delivery failure and poor governance. But for any government programme to be effective, peace and the rule of law are the prerequisites. In spite of service delivery issues and the resource dissipation for which the government is normally associated with, the State remains by far the best agency to institutionalise any systemic improvement. Maoists speak from the barrel of the gun. There can be no justification of their ideology, leave alone their actions. While the PML (N)-led government in Pakistan’s Punjab has been denying the existence of any extremist group such as the Punjabi Taliban in the province, Federal Interior Minister Rehman Malik has hinted at the likelihood of a military drive against the extremists in South Punjab in the near future. Says Kamran Shafi, a Dawn columnist, “More than anything else, the Punjab government must immediately stop living in denial and face the ugly fact that the southern parts of the province, districts like Multan and Bahawalpur and D.G. Khan and Jhang and Muzaffargarh and Rahimyar Khan, are awash with militants of a very hard hue. The Business Recorder points out that “There is a long list of deadly terrorist attacks that have been conducted in Punjab during the last three years, including attacks on the GHQ, ISI headquarters, Naval War College, Manawan Police Training Centre, FIA Headquarters, SIU safehouse, Moon Market, inside Lahore cantonment, the two Ahmadi places of worship and Jinnah Hospital. Some analysts see a change in the tactics of militants. The extremist killers now prefer gunning down their targets to blowing themselves up as suicide bombers. The new method, it is argued, indicates that the militant outfits find it difficult to have fresh recruits and hence the changed strategy, which will help save the experienced “fighters”. The new development — terrorist outfits getting new recruits with great difficulty — can help in making these killer machines disfunctional, provided the anti-terrorism drive also includes spurring economic activity in the tribal and other affected areas and an ideological campaign to prove that these enemies of peace have nothing to do with religion. Their rotten ideas cannot stand strict scrutiny.